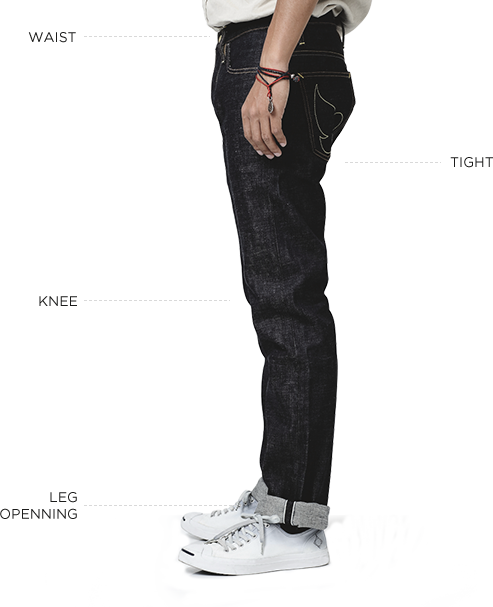 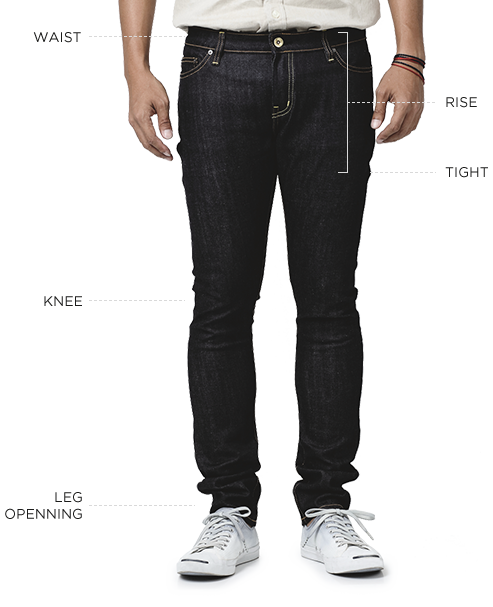 Skinny jeans sit low on the hip and are tapered close to the body all the way down to a narrow leg opening. 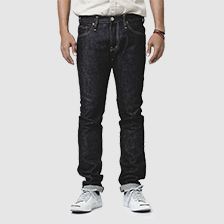 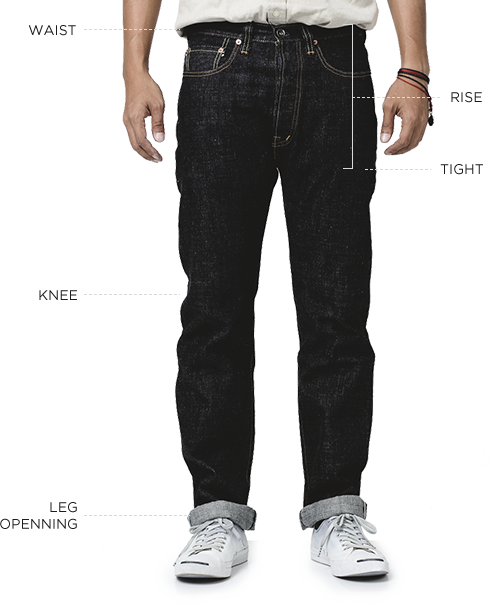 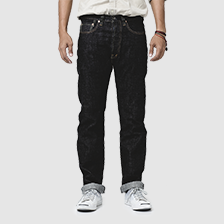 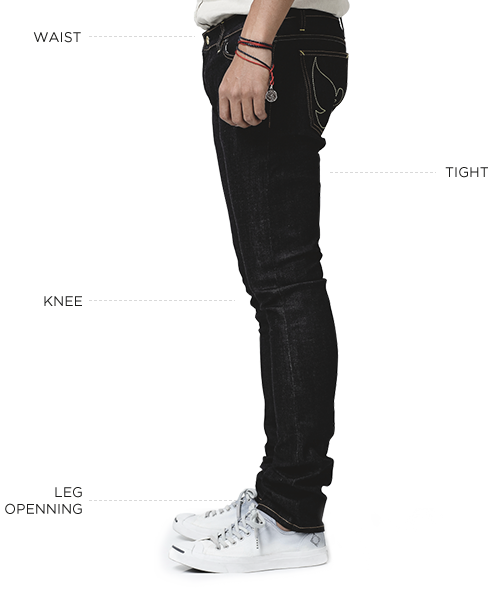 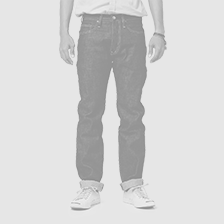 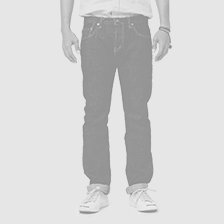 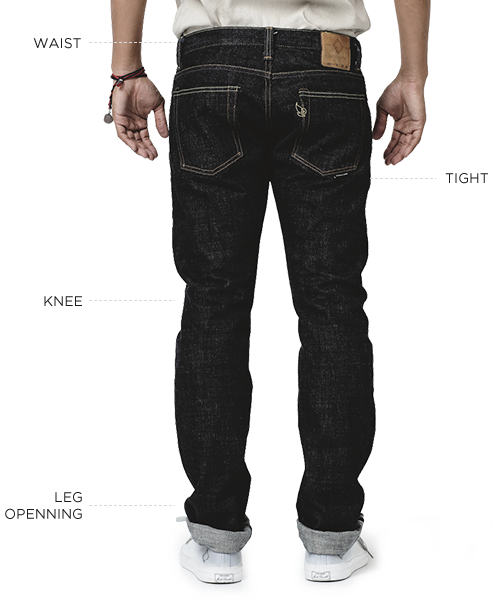 Indigoskin skinny jeans are made from stretch-cotton blend. 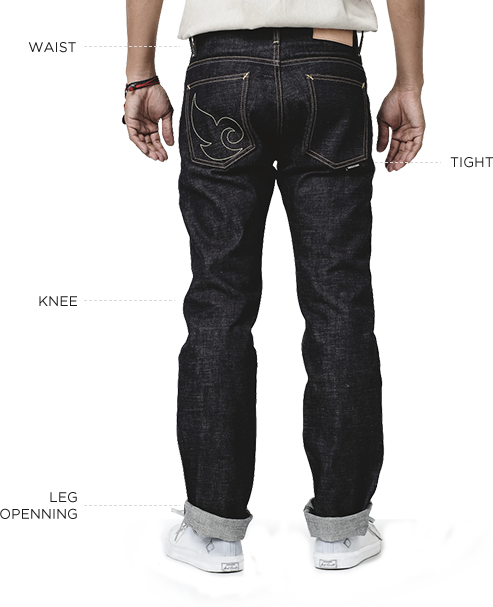 These garments are made by hand; measurements may vary slightly for each individual pair. 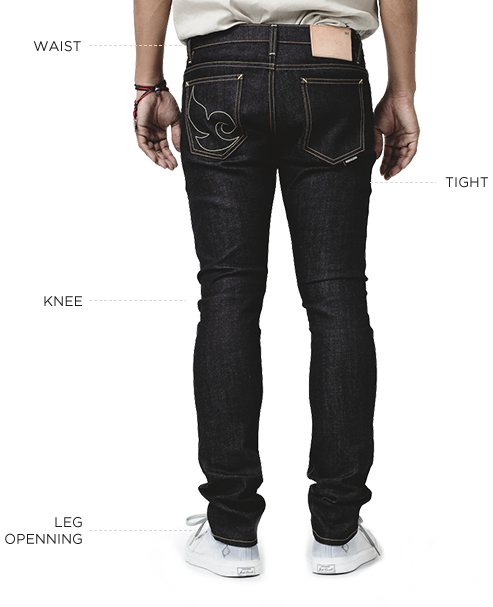 Normal rise jeans that are slim from the hip and gradually taper down to a narrow leg opening. A modern normal rise and regular waist fit. 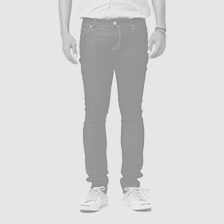 The leg is straight from upper thighs down to leg opening tapering off slightly at the ankle. 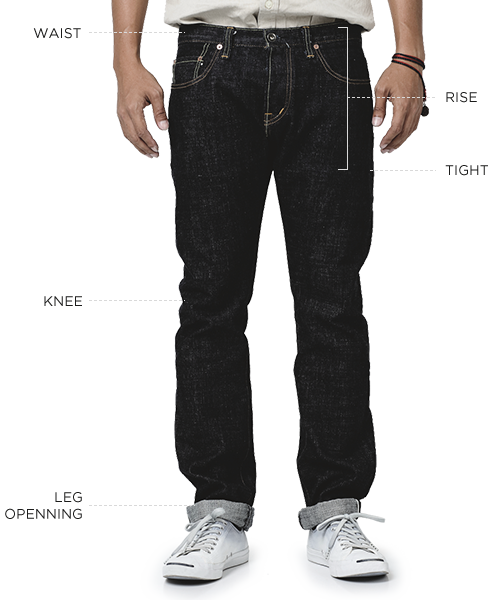 Slightly smaller than Slim Tight Fit, Vintage Slim Fit has a high waist and slim legs that gradually taper down to a narrow leg opening. 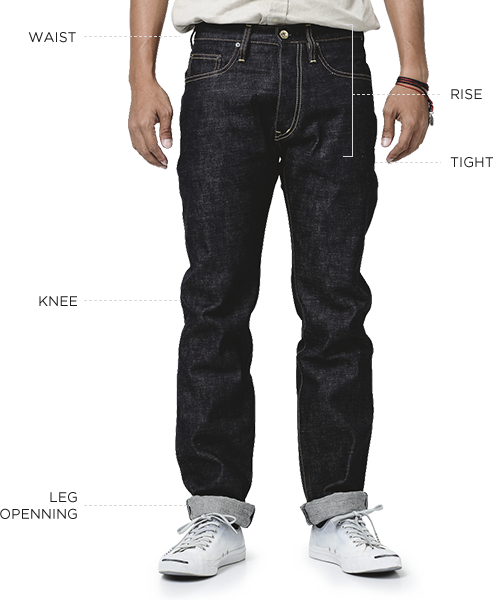 Measurements are based on average taken from multiple pairs of the same size and style. 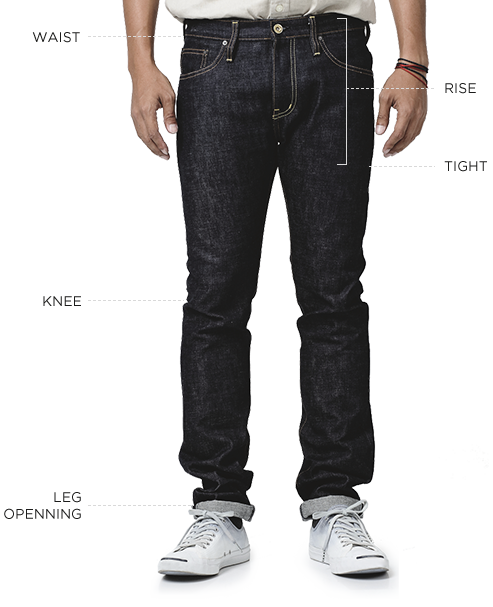 Because these garments are made by hand, measurements may vary slightly for each individual pair. Our posted measurements are meant as a guide to the overall fit and silhouette of the garment. 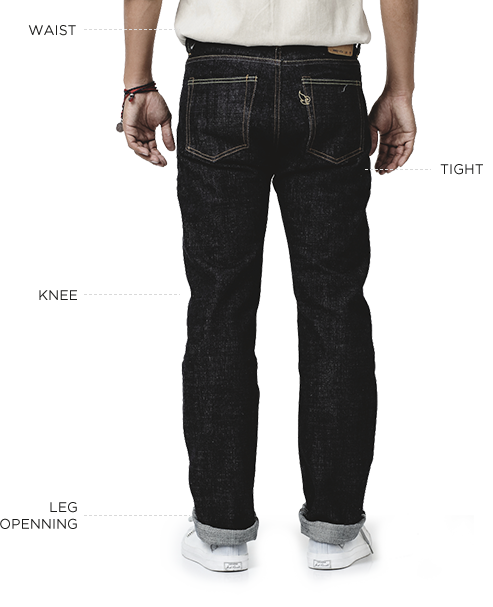 Developed from vintage jeans designed in 1947, it is a classic fit with high waist and straight legs all the way down to leg opening. 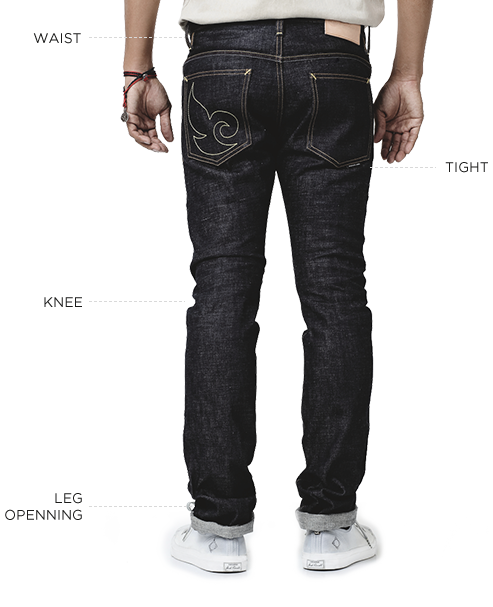 © 2015 INDIGOSKIN JEANS ALL RIGHT RESERVED.